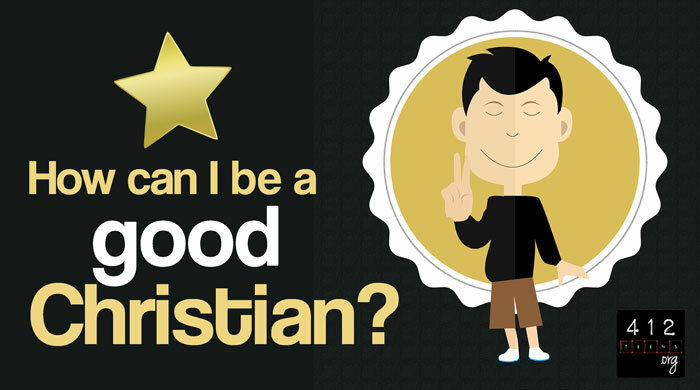 How can I be a good Christian? 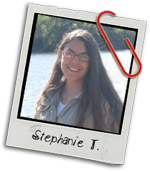 How can I make God love me more? I remember a time in my life when I was struggling with being a "good Christian." I thought that I had to be "good" to be good in God's eyes. I just wanted a list with "do this" and "don't do that" columns. Love your neighbor, tell the truth, pray to God. Don't gossip, don't lie, don't steal. To an extent, there is that expectation about a Christ-follower's life—that we should be "good." Paul's letters (basically Romans to Philemon) are filled with practical advice about living a godly life. But we do need to realize this one thing first: God's love for us isn't based on what we do or don't do (Ephesians 2:8-9); His love and forgiveness is a gift (John 3:16). What we do or don't do is a response to His love for us. Jesus' sacrifice made you good. None of us could ever be "good enough" to earn God's favor. His standard is perfection, and only Jesus ever accomplished that as a human. We have all fallen short of perfect (Romans 3:23), and our sins have separated us from God. Because God is holy (Ephesians 2:1), nothing unholy can come into His presence. Yet you were created for a relationship with God—a real, vibrant, intimate relationship with the Creator of the universe. God loves you so much, despite your sin, that He sent Jesus Christ, the only One who has never sinned, to earth die in your place as punishment for your sins. That way, He can have a relationship with you. When Jesus rose from the dead, He defeated death for you so that you could have a real, eternal, abundant life and relationship with God (John 10:10). If you accept Jesus' sacrifice, God can consider YOU holy and perfect—forgiven. The work for you to be "good enough" for God's forgiveness is done. When Jesus said, "it is finished" on the Cross, your need to be "good enough" was done away with (John 19:30). If you believe that you're a sinner and need of a Savior, that Jesus Christ is that Savior and died and rose again for the forgiveness of your sins and rose again from the grave—if that is the belief of your heart—God has taken your imperfections and given you His perfection. Our response to God's love should be good. God made you to glorify Him with your life (Isaiah 43:7). He wants to be your Father, your best friend, and your guiding light. Jesus said, "You are my friends if you do what I command you" (John 15:14). Your Creator wants to meet with you in His Word (the Bible), He wants to hear from you in prayer, and He wants to guide you down the right path (Romans 8:28; James 1:5). Our response to His love is to love Him back with everything we are and everything we have. The whole message of the Bible comes down to two things: love God and love people. With God's help, we CAN do those things. Those who have accepted Christ's sacrifice are new creations (2 Corinthians 5:17) who now get to live a life of freedom from the chains of sin (Galatians 5:1). We no longer HAVE to choose sin. We no longer HAVE to choose selfishness (Romans 6:14; James 4:17). As new creations, we have access to our awesome God who will help guide us to do things that strengthen our relationship with God and shine His love onto a hurting world. Yes, those who claim to follow Christ should be honest and respectful. They should offer grace and forgiveness to those who are undeserving. Their lives should display the fruits of the Holy Spirit, which are love, joy, peace, patience, kindness, goodness, faithfulness, gentleness, self-control (Galatians 5:22-23). That said, we should not do these things because we're trying to be "good Christians," but rather as a response to being adopted by the King of Kings. By loving God and loving others, we will be living a life that is "good"—a life that honors the One who made us and saved us. The Christian life is one of growing in love for Christ and developing an intimacy with God in your heart. It's about enjoying and participating in the amazing ride He has planned for you (Jeremiah 29:11-13). God promises that when you seek Him with all your heart, you'll find Him (Jeremiah 29:12-13). He doesn't need you to impress Him in order for Him to love you. He loves you as you are and will love you the same every day of your life. Your response to that love is obedience to His will (John 14:15; Romans 6:16) and trust in His faithfulness (2 Thessalonians 3:3) not because you have to, but because you want to. To an extent, there is that expectation about a Christ-follower's life—that we will be "good." But God's love for us isn't based on what we do or don't do (Ephesians 2:8-9); His love and forgiveness is a gift (John 3:16). Yes, when the world looks on, they should see the fruits of the Spirit, which are love, joy, peace, patience, kindness, goodness, faithfulness, gentleness, self-control (Galatians 5:22-23). But remember that God loves you as you are and will love you the same forever. Your response to that love is obedience to His will (John 14:15; Romans 6:16) and trust in His faithfulness (2 Thessalonians 3:3) not because you have to, but because you want to.